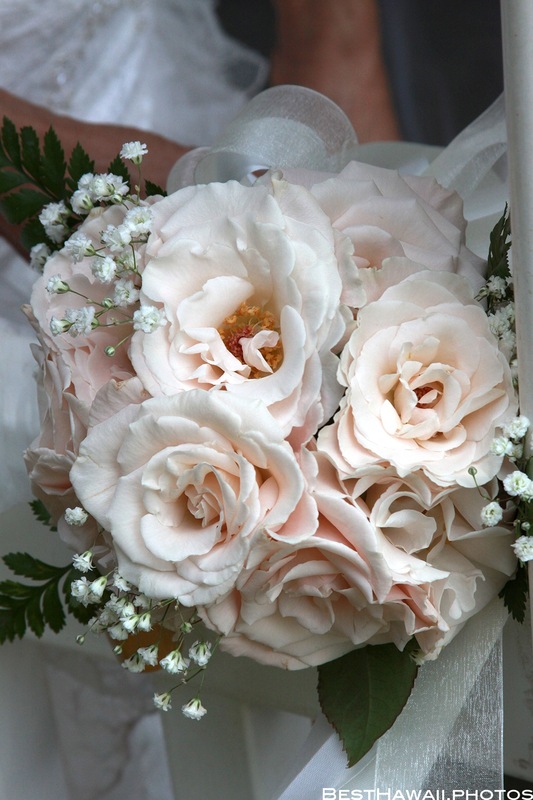 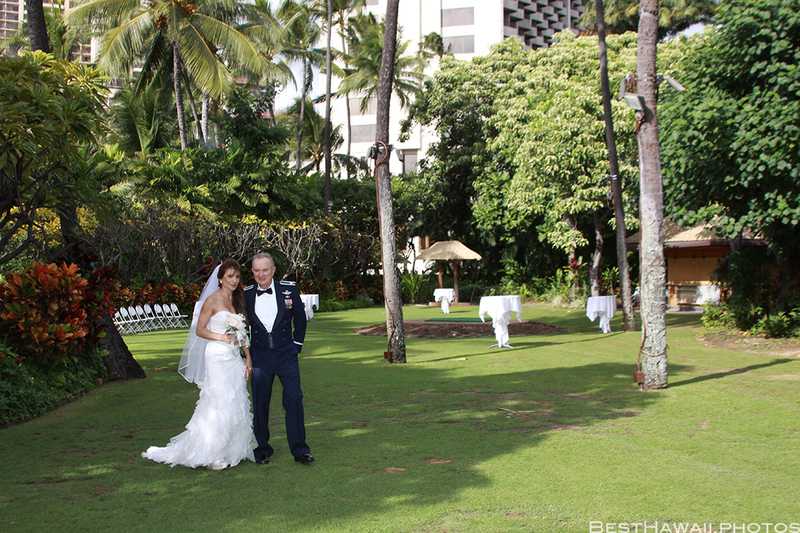 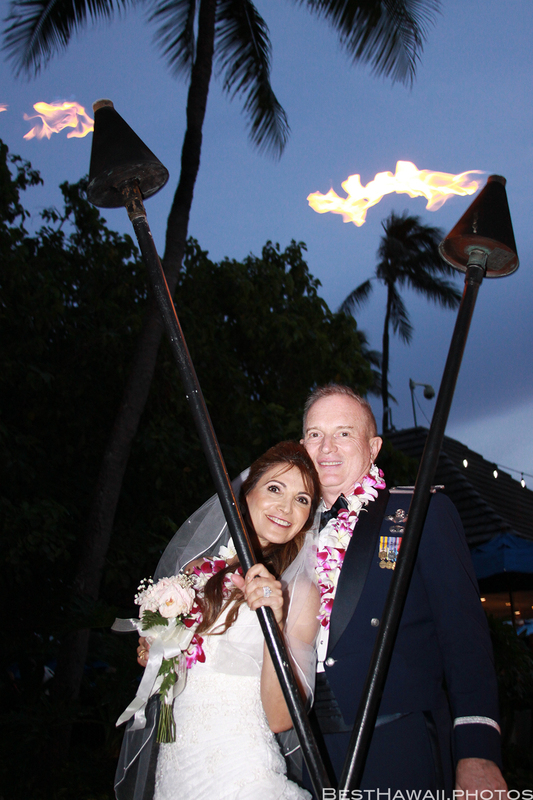 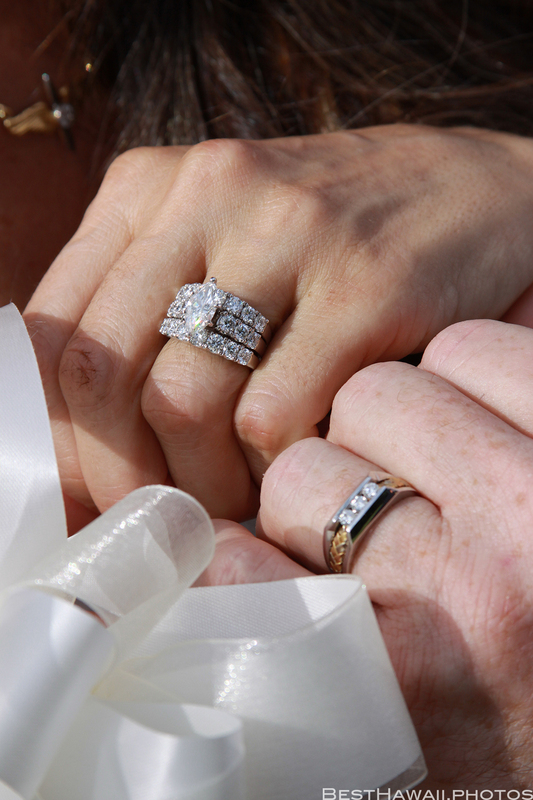 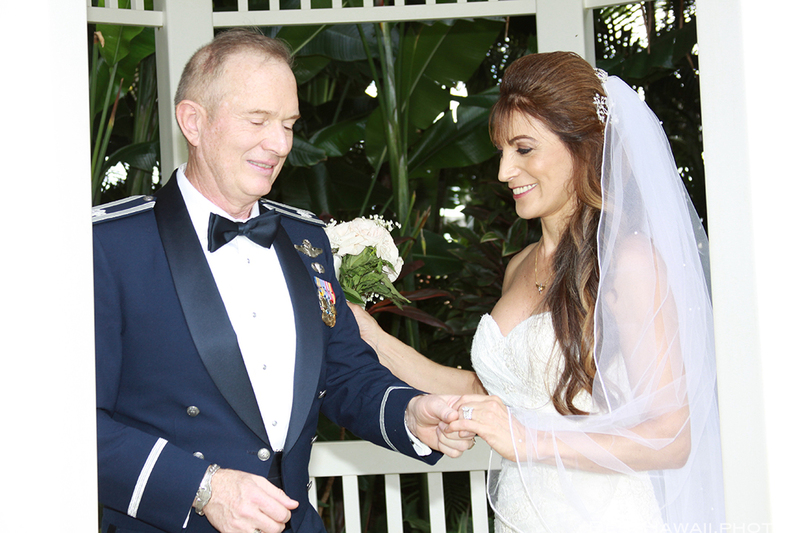 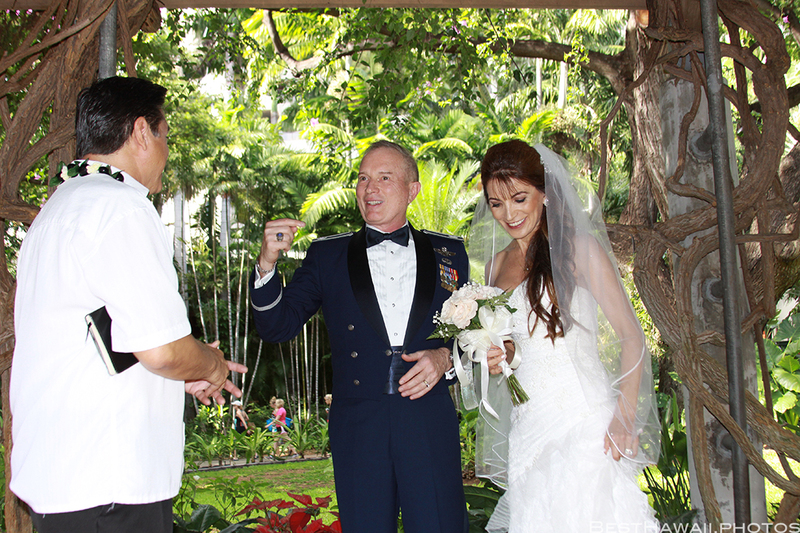 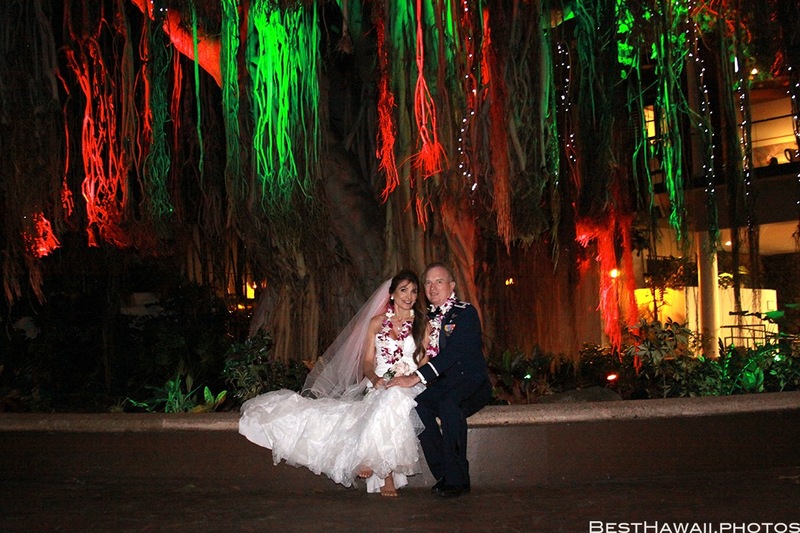 Hale Koa hotel in Waikiki offers wedding packages for small and large weddings. 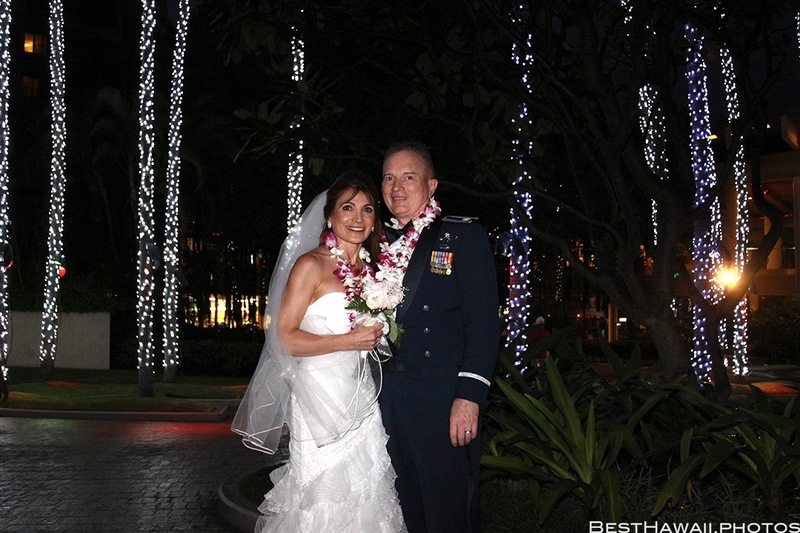 It’s an upscale hotel for the U.S. military and their families situated next to a huge beach. 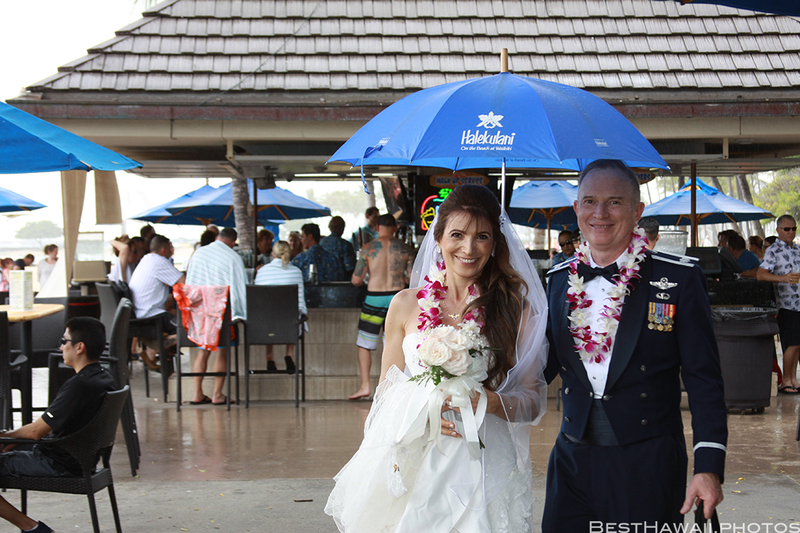 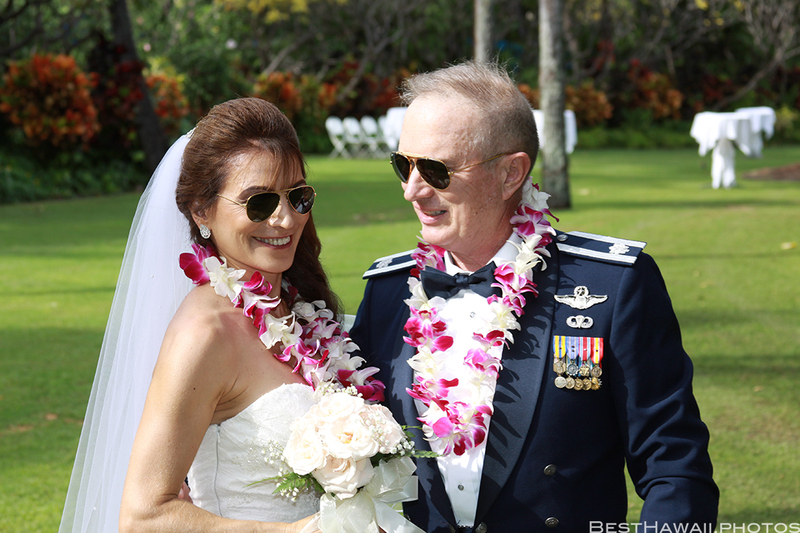 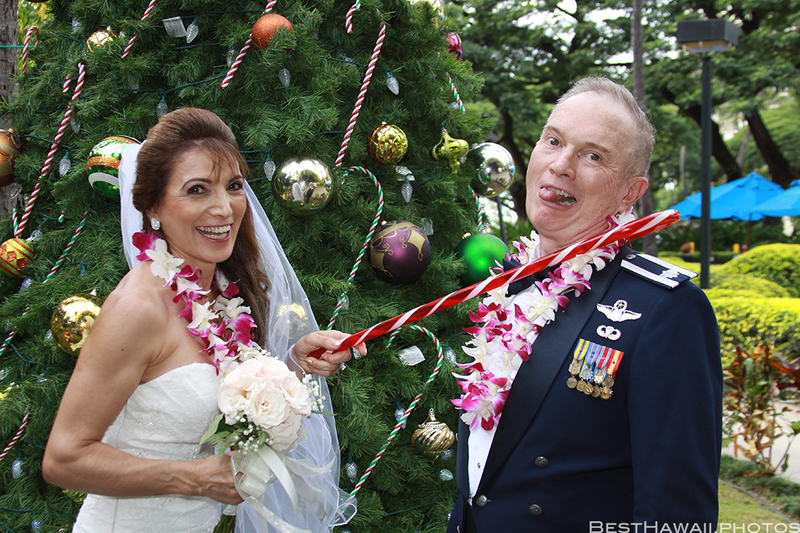 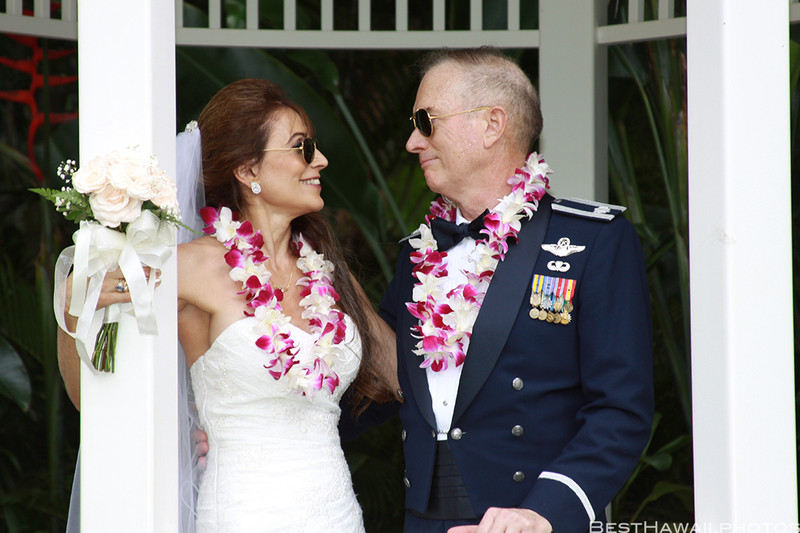 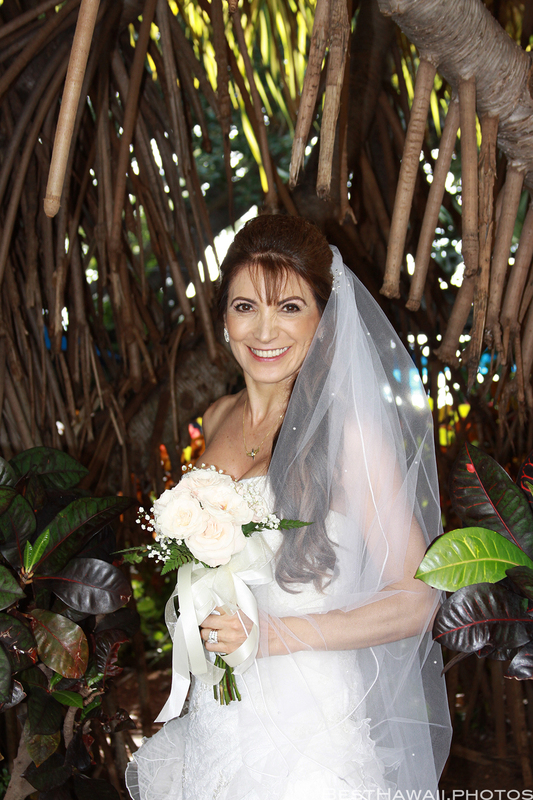 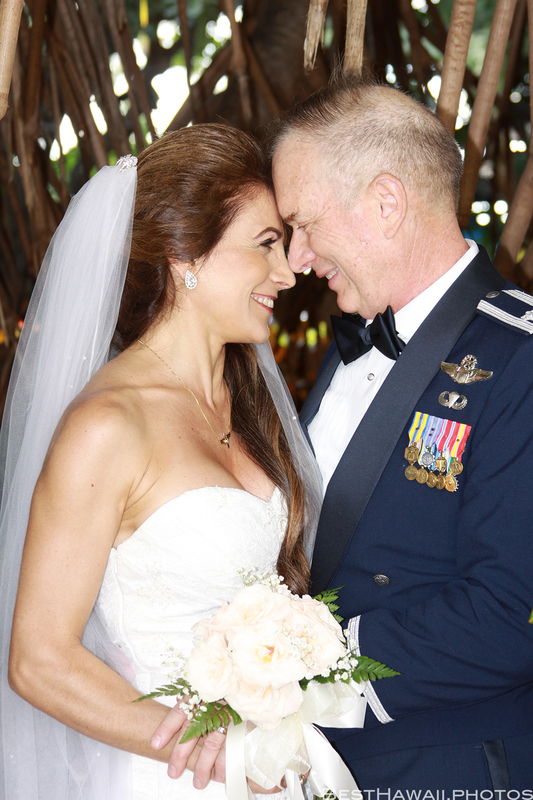 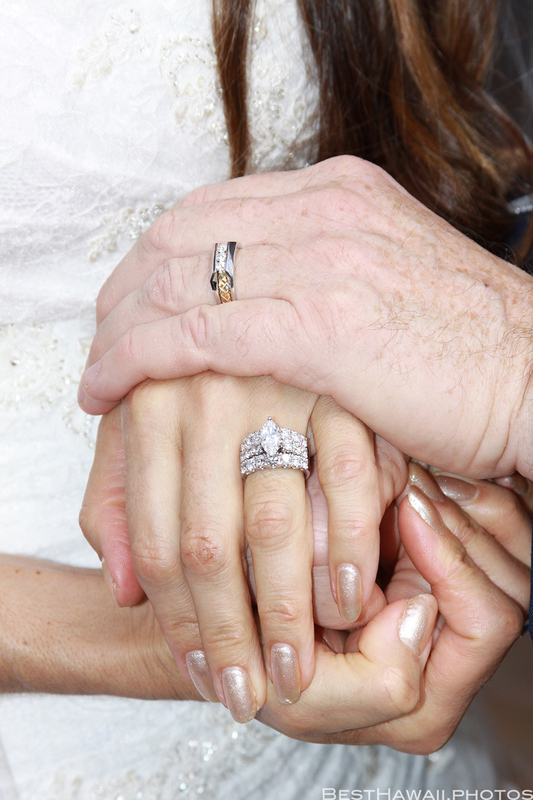 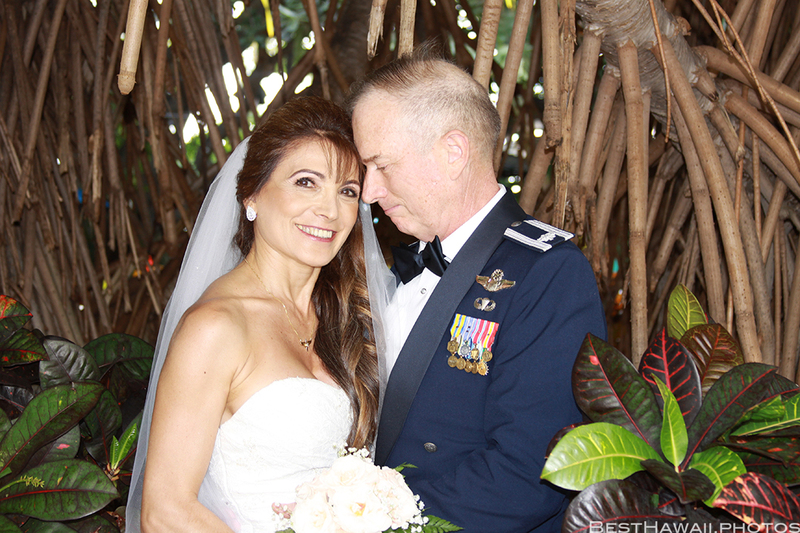 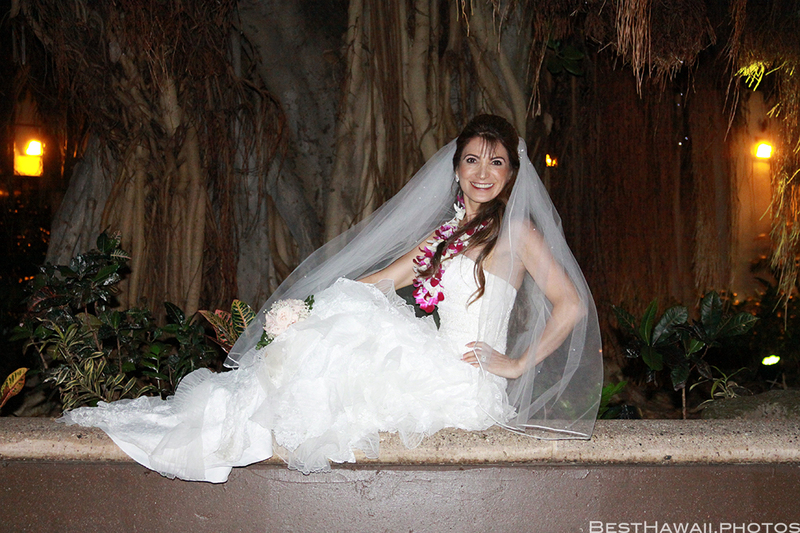 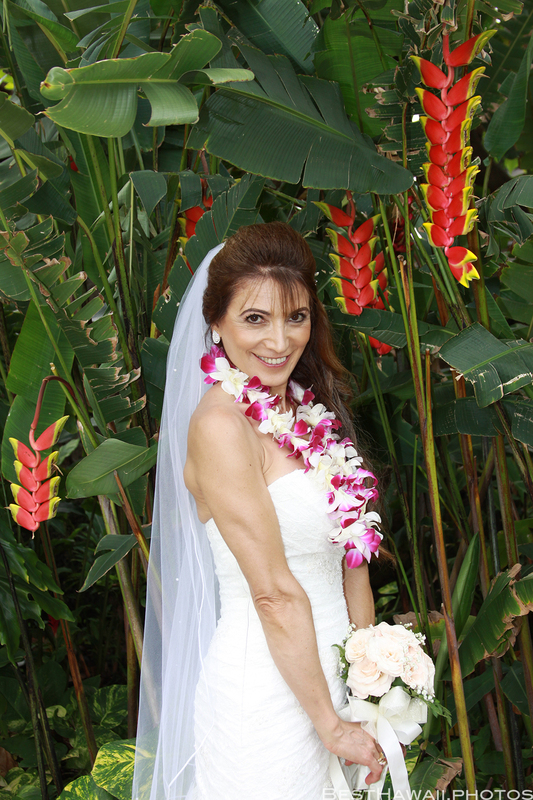 This was a small, intimate, and very fun wedding at Hale Koa Hotel. 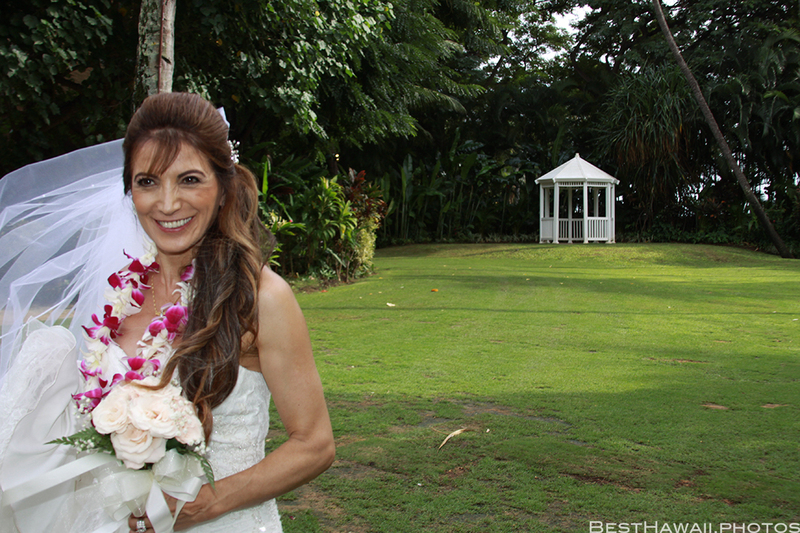 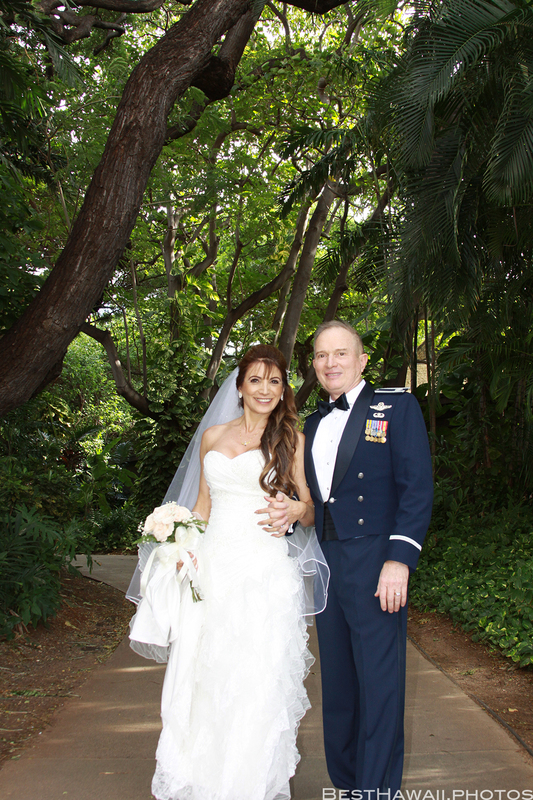 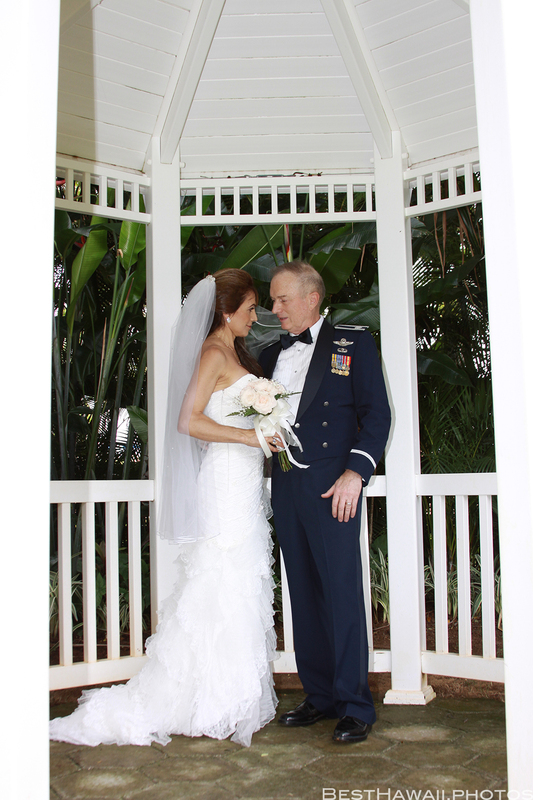 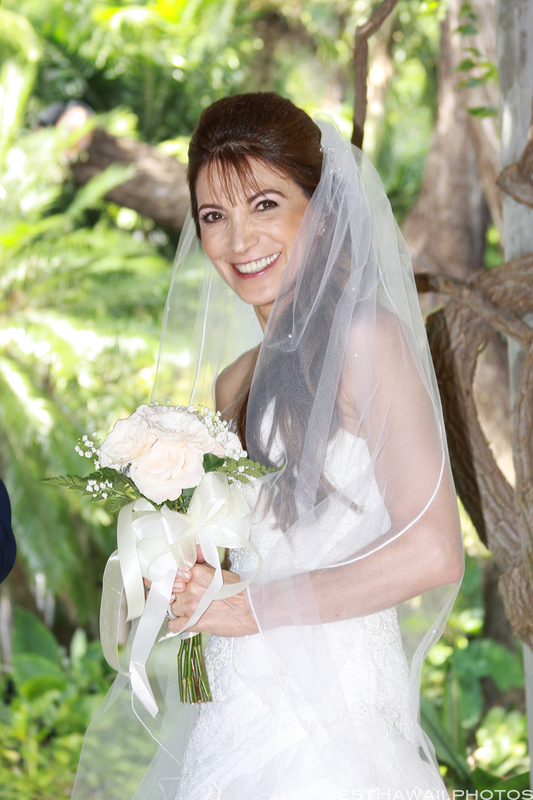 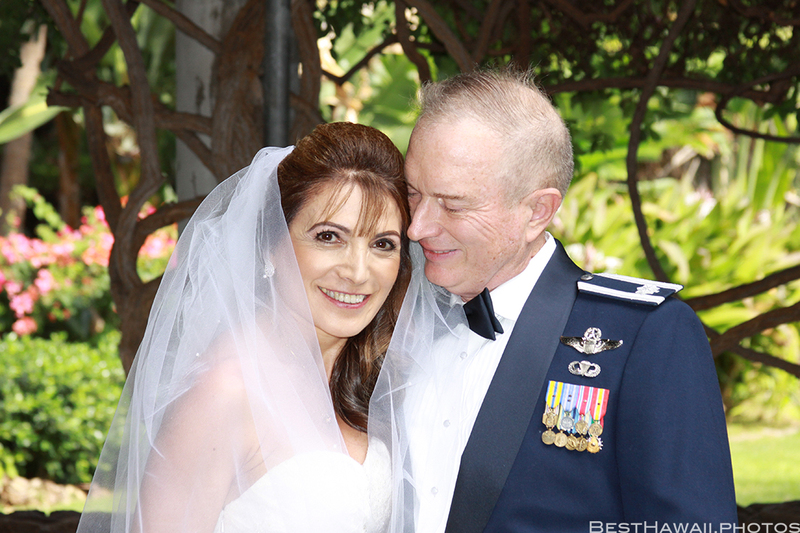 The wedding ceremony took place under a gazebo surrounded by lush tropical vegetation, tucked away from crowds.